Warriors are a competitive swimming club and all swimmers are expected to participate in galas. A gala can also be referred to as a meet. Warriors swimmers compete in 3 different types of galas. Galas are licensed at level 1, 2, 3 and 4 depending on criteria. Team galas are usually not licensed. These include four Badge Galas, a Long Distance Gala (800m and 1500 only) and the Club Championships. Swimmers are expected to participate in all these galas. Badge Galas and the Club Championships are free to enter. When possible all club galas are licensed at level 4 but availability of officials means that some Badge Galas are unlicensed. Any queries regarding internal galas should be directed to homegalas@swimwarriors.org.uk. Entry forms for these galas are available on the Gala Calendar page on the website. 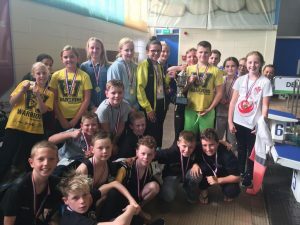 Warriors enter a team in the National Swimming League, Liverpool Junior League & Bolton Mini League. Swimmers are selected for these galas based on the times recorded on their PB sheets. The fastest swimmers are selected for National League & Liverpool Junior League, with the 2nd fastest swimmers being selected for the Bolton Mini League. The teams are selected by the Head Coach (Darren Ashley) and are available on the Gala Calendar page of the website about 2-3 weeks before the gala. Any swimmer selected for any of these galas must confirm their availability to teamgalas@swimwarriors.org.uk as soon as possible. For team galas (except those hosted by Warriors) a coach is provided by the club to transport the swimmers. All swimmers are expected to travel on the coach. Warriors offer a range of galas for swimmers of all abilities. The level of the meet indicates the difficulty of the gala, with level 3 being the introductory level and level 1 being the most difficult. Click HERE to view the Swim England Open Meet Licensing Criteria document. Entry forms and qualifying times are available on the Gala Calendar page of the website. If you have achieved the qualifying times for the gala you may submit an entry. Galas are either short course or long course meets. A short course meet is held in a 25m pool and a long course meet is held in a 50mGalas are either short course or long course meets. 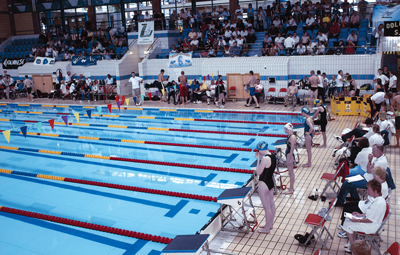 A short course meet is held in a 25m pool and a long course meet is held in a 50m pool. If you are entering a long course gala you may use times achieved in a 25m pool, converted to 50m times and vice versa. Conversion times can be obtained from the PullBuoy or SPORTSSYSTEM websites. Also available is the SPORTSYSTEMS Equivalent Time Converter program for Windows which can be downloaded from HERE. Please take care when completing your entry form, that your name, date of birth and Swim England number are entered correctly. Swimmers pay for each individual race they are entered for, usually about £5 to £6 per event. This must be paid when entering and can be done by cheque or paying directly to the Away Galas bank account. Details are on each entry form. Make sure any cheque it is made payable to Warriors of Warrington and both cheque and bank payment is for the correct value. Failure to do this can delay the club’s entry. Swimmers must also submit a completed medical form with each gala entry. If you are unsure about which events to enter, please speak to your coach. 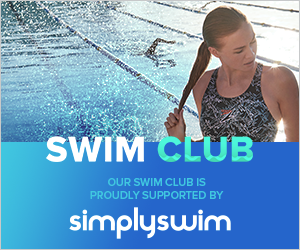 To help with their future development, younger swimmers should compete in a full range of events, especially medley and distance freestyle events. Younger swimmers should not be “specialising” in one stroke. Times achieved at licensed galas will appear on the British Swimming rankings website and can be used to enter both internal and external galas. Times achieved at unlicensed galas do not appear on the British Swimming rankings but can be used for certain level 3 galas if allowed by the gala’s conditions of entry. If you have any queries regarding external galas or competitions in general, please contact awaygalas@swimwarriors.org.uk.